"Regenerative medicine replaces or regenerates human cells, tissue or organs, to restore or establish normal function." A brief definition of regenerative medicine. Regen. Med. (1), 1-5. This week it was announced that Sir John B. Gurdon (Cambridge University) and Professor Shinya Yamanaka (Kyoto University and the Gladstone Institute in San Francisco) were joint recipients of the Nobel Prize in Physiology or Medicine 2012 for their pioneering work in the fields of cloning and stem cells. Their discoveries, made some 50 years apart, that mature specialised cells can be reprogrammed to become immature pluripotent cells capable of developing into any cell type are truly ground-breaking. 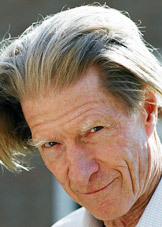 In a classic experiment, Gurdon replaced the immature cell nucleus in an egg cell of a frog (Xenopus laevis) with the nucleus from a mature intestinal cell. The modified egg still developed into a normal tadpole, overturning the dogma that cell differentiation was irreversible. 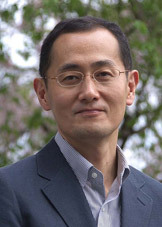 Yamanaka, building on Gurdon’s work, discovered that mature cells can be reprogrammed to become pluripotent using a ‘reprogramming cocktail’ of just four genes (dubbed 'Yamanaka factors'). On an ethical level, Yamanaka's extension of this research has resulted in the ability to circumvent the need to derive stem cells from human embryos, a practice which is fraught with ethical implications and outlawed in a number of countries. The Nobel Assembly said the scientists' findings had "revolutionised our understanding of how cells and organisms develop". Their work has led to a new field of regenerative medicine (RegenMed) using pluripotent stem cells, adult cells that have been reprogrammed to be able to develop into any cell type. It is hoped that Stem cell therapies may become effective in treating a variety of diseases by capitalising on the ability of transplanted cells to migrate toward target areas of injury and repair damaged tissues and organs. Rapidly advancing developments — not only stem cell therapy, but also tissue engineering — hold the potential to revolutionise 21st century medicine. Aided by developments in nanomaterials and nanoparticles, tissue engineering has already seen patients successfully receive artificially synthesized veins, tracheas and bladders. Scientists are now attempting to build a variety of complete organs in the lab including kidneys, livers and hearts. In this edition of Bioline Scholar, we focus on recently published papers in this exciting field. Bioline offers tried and trusted molecular biology tools to aid researchers working at the cutting-edge of RegenMed. The demand for stem cells in drug discovery and clinical applications is growing quickly. However, to translate the promise of stem cells into therapeutic reality for patient populations, industrial-scale production under tightly regulated conditions is required. Researchers from the UCL Stem Cell and Regenerative Medicine Bioprocessing Unit, led by Prof Chris Mason*, tested a commercial ‘hollow fibre’ bioreactor for scale-up of human embryonic stem cell (hESC) derived cell therapies. The bioreactor was able to successfully expand hESCs over ten-fold (from 60-708 million), whilst maintaining high levels of pluripotency marker expression. 97.7 % of cells expressed the embryonic stem cell marker, SSEA-4 when harvested. * Chris is a co-founder of the London Regenerative Medicine Network (LRMN) and an internationally renowned RegenMed expert. The growth and differentiation of stem cells is controlled by intrinsic and extrinsic bioactive factors. The latter includes growth factors, which are typically included in culture media.•	This paper from the Universities of Edinburgh, Politecnica delle Marche and Yale describes the use of affinity targeted biodegradable nanoparticles to mediate paracrine stimulation as an alternative approach to sustain the growth and pluripotency of mouse (ES) cells. The dynamic microenvironmental control of extrinsic factors will be of benefit for stem cell manufacturing. Human mesenchymal stromal/stem cells (MSC) isolated from fetal tissues are ethically contentious as a cell source and also technically challenging to obtain. In contrast, stem cells are more readily-obtainable from the placenta throughout pregnancy. In this study, from the Fetal Stem Cell Therapy Group, Imperial College, the phenotype of first trimester and term fetal placental chorionic stem cells (e-CSC and l-CSC respectively) were compared to determine their suitability for cell-based therapies and tissue engineering applications. e-CSC showed an earlier state of ‘stemness’ compared to l-CSC, higher tissue repair in vivo (osteogenesis imperfecta murine model), increased bone quality and plasticity and accelerated skin healing. Their results suggest the more primitive characteristics of early compared to late gestation fetal chorionic stem cells may be translationally advantageous, and provide insight into the developmental ontogeny of fetal chorionic stem cells. Jones G.N. et al. (2012) - Ontological Differences in First Compared to Third Trimester Human Fetal Placental Chorionic Stem Cells. PLoS ONE 7(9): e43395. Progress in the use of hESCs derivatives for cellular therapies also necessitates the production of clinical-grade lines under the control of good manufacturing practice (GMP). Human fibroblast feeder cells are currently required for derivation of new hESC lines. This work from the North East England Stem Cell Institute in Newcastle is the first report of the production of a GMP-grade human fibroblast line (NclFed1A) derived from human foreskin with consent for derivation and culture of hESCs. Prof. Molly Stevens* runs a large multidisciplinary group with interests in the directed differentiation of stem cells, design of novel bioactive scaffolds and new approaches towards tissue regeneration. Poly(γ-glutamic acid) (γ-PGA), a biocompatible natural polymer was investigated as a new and more versatile candidate for tissue engineering applications. Fibrous scaffolds were engineered from ethyl, propyl and benzyl esterifications of γ-PGA. γ-PGA-Benzyl showed increased cell adhesion of human mesenchymal stem cells (hMSCs), three-fold higher viability at day 14 compared to γ-PGA-ethyl and γ-PGA-propyl, and significantly higher adhesion compared with PLLA polyester scaffolds. γ-PGA-Bn scaffolds cultured in osteogenic media were also able to support differentiation of hMSCs towards an osteogenic lineage as shown by alkaline phosphatase and Runx2 gene expression. * Molly is Professor of Biomedical Materials and Regenerative Medicine and the Research Director for Biomedical Material Sciences in the Institute of Biomedical Engineering at Imperial College. She is featured in a recent article in The Lancet and also as one of British Vogue Magazine’s Wonder Women. Canonical Wnt/β-catenin signaling has been suggested to promote self-renewal of pluripotent mouse and human ES cells. In this paper from California State University, SB-216763, a GSK3 inhibitor, could maintain mouse ES cells in a pluripotent state without exogenous leukemia inhibitory factor (LIF) when cultured on mouse embryonic fibroblasts. Kirby, L.A. et al. (2012) - Glycogen Synthase Kinase 3 (GSK3) Inhibitor, SB-216763, Promotes Pluripotency in Mouse Embryonic Stem Cells. PLoS ONE 7(6): e39329. Lima, M.J. et al. (2012) - Pancreatic Transcription Factors Containing Protein Transduction Domains Drive Mouse Embryonic Stem Cells towards Endocrine Pancreas. PLoS ONE 7(5): e36481. Fouraschen, S.M., et al. (2012) - Secreted Factors of Human Liver-Derived Mesenchymal Stem Cells Promote Liver Regeneration Early After Partial Hepatectomy. PLoS ONE 7(5): e36481. The transplantation of neural crest derived stem cells (NCSCs) is a potent alternative for the treatment of Hirschsprung’s disease (HSCR). Cells to be transplanted require an appropriate microenvironment to survive and differentiate. Researchers from Heidelberg University investigated the quality of this microenvironment, by studying the effects of HSCR-smooth-muscle-protein extracts upon NCSCs in vitro. Hagl, C.L. et al. (2012) - Smooth muscle proteins from Hirschsprung's disease facilitates stem cell differentiation. Pediatr Surg Int. 28(2):135-142. Lu, Z. et al. (2012) - Short-Term Exposure to Tumor Necrosis Factor-Alpha Enables Human Osteoblasts to Direct Adipose Tissue-Derived Mesenchymal Stem Cells into Osteogenic Differentiation. Stem Cells Dev. 21(13): 2420-2429. Lu, Z. et al. (2012) - Bone Biomimetic Microenvironment Induces Osteogenic Differentiation of Adipose Tissue-derived Mesenchymal Stem Cells. Nanomedicine: Nanotech. Biol. Med. 8(4):507-515.